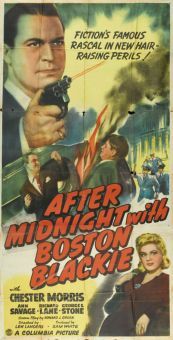 Reformed criminal Boston Blackie (Chester Morris) and his pal "The Runt" (George E. Stone) obey the film's title and head for Tinseltown. 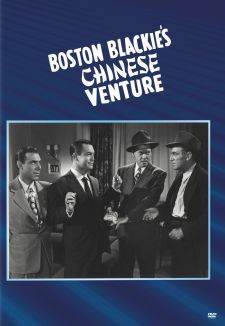 Blackie has been asked by a friend to transport $60,000 to California, but the L.A. cops assume that he's involved in the disappearance of the valuable Monterey Diamond. 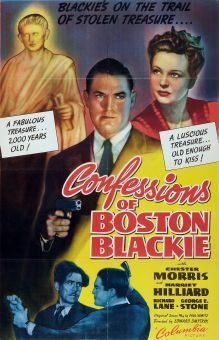 As always, Blackie spends a goodly portion of his time in disguise, assuming the identity of a bearded foreigner. 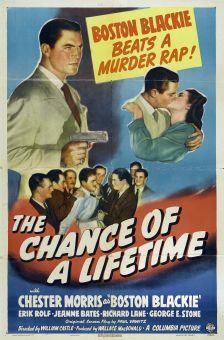 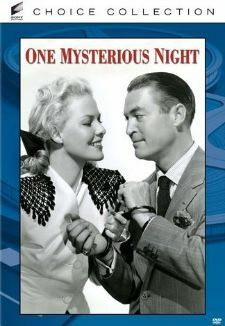 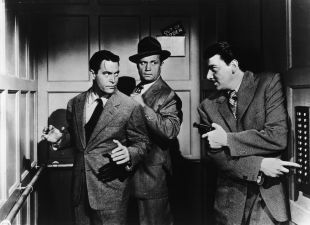 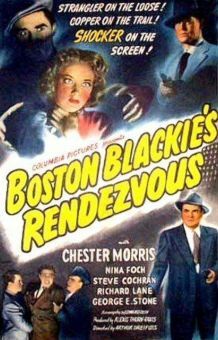 Boston Blackie Goes Hollywood was the fourth in Columbia's series of B-pictures based on Jack Boyle's pulp-fiction character.